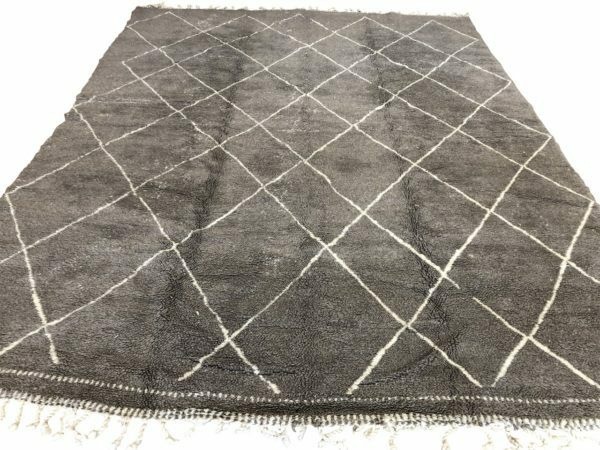 Our Beni Ourain rugs have stood the test of time for one reason: they add an air of elegance to any living space. 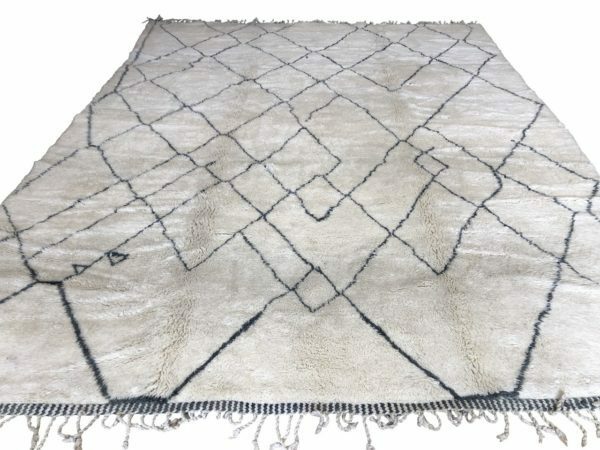 The Beni Ourain rugs are made by a group of Berber tribes living in the north eastern part of the Middle Atlas mountains. 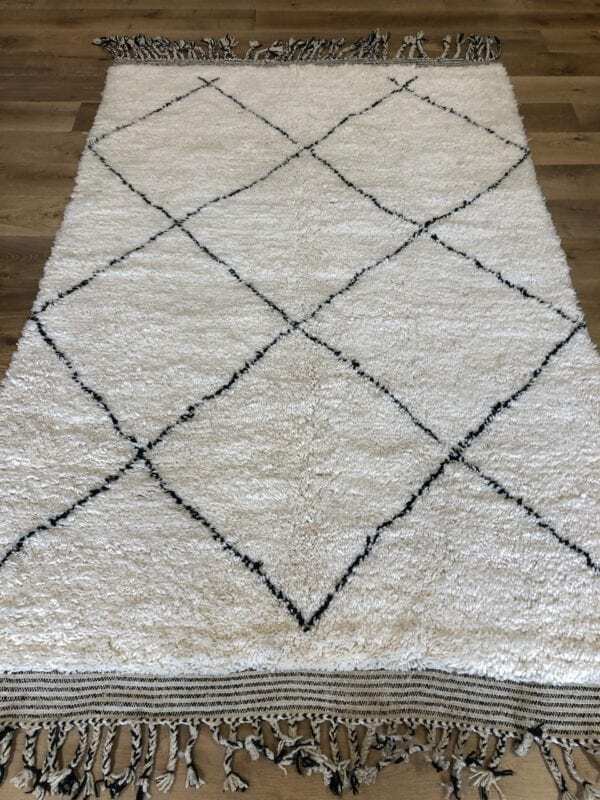 This area is particularly well suited for raising sheep for the wool used in these rugs. The Beni Ourain tribes live a semi-nomadic life: moving their flocks to the higher mountain areas in spring and returning to the lowland during colder months. Semi-nomadism is still there today although they may move their sheep and goods by truck and live only a portion of the year in tents, returning to permanent houses in the winter. As with all tribal carpets, the maker weaves a free chosen pattern that she invents while weaving. In this case it is often an overall diamond motif on a beige background of undyed natural wool. Beni Ourain rugs are always loosely knotted with a rather long pile. 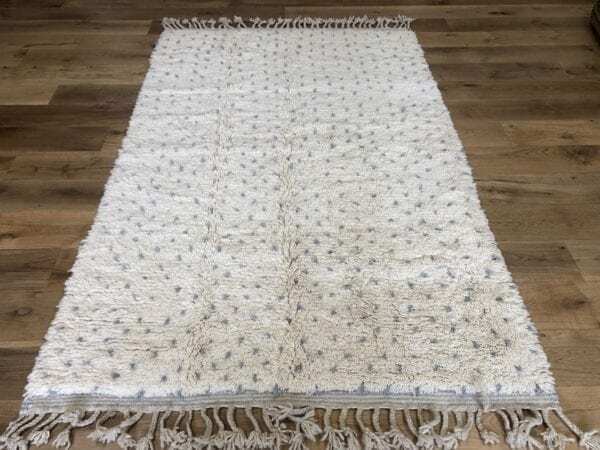 This is because they do not use carpets as floor covers as we do today with their goods, but rather as beds and bedding to protect people from the cold and moisture while sleeping. Between the long piles a layer of air remains that quickly takes up the body temperature and keeps this for a long time. Both the pile side as the backside can be used interchangeably. When it is cold in winter they put the Berber carpet with the pile up. In summer, however, they sleep on the smooth side.